i also noticed more high res map textures, is the eventual goal to overhaul every map or is this just eliminating outdated textures? i look forward to playing the new campaign mission i saw! i spoiled myself with testing the map but im going to leave the actual mission a surprise. The changed names indeed aim to represent how realistic the difficulty tiers are, making Realism the (hopefully) obvious default. After considerable testing I concluded that e.g. the former "Elite" tier simply cheated the player. AI appears to be aware of the player's location at all times, and no matter how much I nerfed their weapons, Elite opponents would still shoot you across the entire map with a pistol, apparently ignoring any weapon properties set in the .gun file. The former "Recruit" tier on the other hand dumbs AI down way too much, and while their shooting abilities are still somewhat realistic, their tactical acumen is severely lacking ("Me seeking cover? What cover? Why?"). And then there's the hard-coded infinite player ammunition thing, which by itself kills realism on easy difficulty in Ghost Recon. Hi-res (and yes, even 2k HD) retexturing is an ongoing process that will require a whole lot of work (and time) to complete, but you can expect a bit of progress in each future point release. The same goes for maps' sound environments, by the way. Nowhere near done. PS: The campaign will be expanded with more extra mission in the future. This is just a beginning. SimGun: Gun node Fixed MG 05 has no camera offset helper point. SimGun: Gun node Fixed MG 04 has no camera offset helper point. SimGun: Gun node Fixed MG 01 has no camera offset helper point. SimGun: Gun node Fixed MG 02 has no camera offset helper point. SimGun: Gun node Fixed MG 03 has no camera offset helper point. SimGun: Gun node Fixed MG 06 has no camera offset helper point. Those SimGun error messages appear in the Ike.log whenever a map has stationary weapons, so you will see them in the vanilla game, too. The client crashes always(!) when you zoom? So it's irrespective of zooming? And does it happen every time you shoot, or just when you shoot at opponents? There may be something missing from your installation, but I'd have to confirm on PC. Nope, size and file count of your installation are fine. Could you answer this, please? I'm just trying to close in on what may cause the crash issue. So those 2 new missions exist. And Apex, is that you giving the briefings? Mission review (non spoiler version): Interesting missions with some nice cinematics and a high level of attention to detail. Hope you're ready to tackle some quick but fun CQB portions though. I used the current development build of Cloak-and-Dagger v1.4 for this. So far the only changes don't change how it would've played with v1.3.1 since I've barely done anything. This is why the screenshots use the Blood Oil models. Realism difficulty and all suppressed weapons. Missions both take place on the Woods map (first the night version then the day version). The objectives are relatively simple but still plenty of depth here. The first mission was fun and the way I approached it, I essentially made a clockwork circle around the map. The amount of patrols wasn't insanely large but felt adequate. The darkness was... dark. If I turned off night vision, I could barely see my teammates next to me (if at all) depending on my position on the map. This darkness helped with the atmosphere and actually did it's job. I could slip past patrols easily as long as I didn't get too close and could engage the enemy on my terms. My team had the edge. The highlight of this mission for me was the CQB portion. Not only does the building present several options for the initial approach, but it's layout presents various challenges. One entryway, multiple open thresholds immediately inside, and stairs heading up the 2nd floor with hostages directly at the top. This building is already fun, but the nighttime environment amplifies things. At night and even with NODs, it's still quite dark. And don't forget that limited FOV when using NODs. No longer will the darkness save you. The enemy is essentially on an even playing field with you now. You can see better, but the difference in CQB is minimal and they have the defender's advantage. The second mission takes place at day. I found myself wondering why we were performing a helo insert so close to the objective. Then you find out you were detected. Only surprise there was that the mission creator (I'm assuming Apex) actually put that in. Even though you were spotted, you still have enough time to get off the "X" if you act quickly. This mission feels quite different since it's day and the enemy is on a much more even playing field. Oh, don't forget you start at low elevation and have to fight an uphill battle no matter what you do. Other than wondering why the bridges I destroyed last mission still exist, pretty fun. The building takedown was still fun, but doing it at day without any hostages doesn't help it stand out. Both missions make good use of the maps and show a high level of attention to detail. I prefer the first mission due the darkness and lack of logical inconsistencies. The second mission is still good, but a couple logical inconsistencies (helo insert location and bridges still existing) and the daylight don't amplify the atmosphere. Both are worth playing, though one stands out to me much more than the other. Also is there anyways to increase the brightness? The Gamma settings don't help. Apex, is that you giving the briefings? Nope. That's either John Sonedecker or Right Hand. Those two missions are based on their excellent BattleBorne mod. Like all other missions in Heroes Unleashed, I re-scripted them from the ground up, while staying true to original objectives. I think they fit in nicely with the first part of the campaign. Hey Apex I was wondering if it is possible to unlock ALL the weapon kits in either the campaign and missions or both? Perhaps even the uniforms. There is no add-on to unlock all equipment kits for the standard SP team, but in single player you have access to all of them via unlockable specialists. For the single player platoon in Heroes Unleashed, I have created over 250 individual characters, each with their own set of face and body textures for separate default, desert, and jungle models plus attachments, totaling over 3,000 files. So to make just one extra unit available in SP, I'll have to design another full set of 3,000 texture and model files. 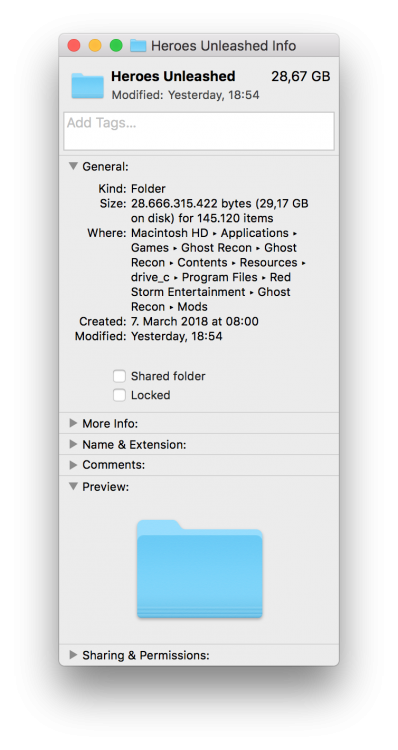 For the current seven units, meaning Delta, Marines, SAS, KSK, Vympel, Alfa, SEALs, that's over 20,000 files. This is actually on my to-do list for future updates, but it probably won't happen shortly. I saw there was SP kit unlocks in the addons but when I put the Delta Folder it messed up my weapon info. I just tried the HU - SP Kits Delta add-on and experienced no issues. What exactly is messed up on your end when you use it? There is the HU - Brighter Night Vision add-on to increase night vision brightness, or you could use the HU - Legacy Night Vision add-on to go back to vanilla. So it's up ... this is going to take a while and some manipulation in my HDD, but I'll DL this thing and somehow install it. If I get the time, I might start my YouTube walkthrough again using 1.0.0, because this is looking more and more awesome by the moment. Great job Apex. Nope. That's either John Sonedecker or Right Hand. Have you heard anything from any other GR devs? I've always wondered how the original team felt about how the series went and the impact modders have on their game. Many thanks for the effort mate and congrats on the release, time for redeployment! Apex, I must thank you for all the time and effort you've put into this mod. Ghost Recon was one of the first video games I ever played, and all these years later it remains one of my all time favourites. What you've done with it is incredible. 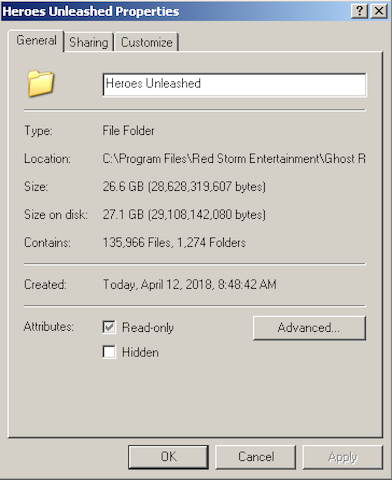 I'm loving Heroes Unleashed; you've really brought out the potential in the game. So again, thank you! I have an issue trying to run multiplayer though. I'm trying to play a co-op campaign with a friend of mine, and we played the first several missions in vanilla with no issue, but now that we've both installed Heroes Unleashed, the game always crashes shortly after starting the mission, but only for the one who isn't hosting. It also instantly crashes if the hosting player commands the others' fireteam to go on recon. We're both running exactly the same mods (just HU and HU Legacy Zoom, and DS/IT of course), with the same game version, the same mod load order (DS>IT>HU>LZ). Everything runs perfectly fine in singleplayer and for the hosting player. We're using Gameranger to play together, rather than a direct connection. Could that be it? I've attached the crash log, if that helps. Exactly these problems I have also noticed, at startup start enormous amounts of data are loaded which takes a long time to start it. 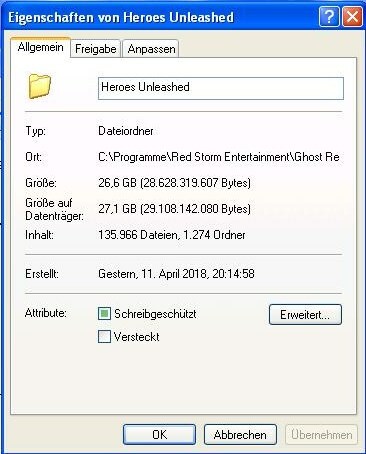 Once the multiplayer game then runs it crashes for the client, the amount of data seems too large which brings the game to crash. Welcome to the forums, Lmoy, and thank you very much! Nice to hear you enjoy HU. Thank you for the comprehensive bug report, I very much appreciate this! It's strange that 1.0 gives you such trouble. I haven't had crashes in multiplayer myself, but then I mostly tested on LAN. Will try to reproduce the error on my end, and see what may be causing it. Sorry for the inconvenience! Decided to actually run through a Black Ops mission to the end. Had a blast, except for the part where 2/3rds of my team got wiped out by the warlord ambushing us. Concealment is no joke, I legitimately could not see his squad despite the tracers flying around. I was forced to flank him by using the river bank as cover, which actually worked for once! ###### was advancing due to our low volume of fire, so I didn't see him at first. Fortunately his last remaining teammate exposed himself, and the warlord was right next to him. RESULTS: 4 KIA, infil zone successfully defended, intel retrieved, 2 Ghosts reach exfil zone. Pyrrhic victory. Lesson learned: always secure an area before moving on. Bounding overwatch recommended. THANK YOU once more for all of your hard work Apex! Supplying additional and alternate mods that work with HU is a very thoughtful bonus. Is there any way to improve the range of body movement in the game into something far more natural? I play Raven Shield a lot, and not being able to lean while moving is very frustrating. Fighting inside structures is already very hard in the game, to not be able to lean while moving through a structure - it amplifies the difficulty in immersion-breaking ways. So, can leaning be enabled while one's body is moving? I'm not a fan of the default camouflage. While I understand the reasoning for its presence (timed for 2008), for a multitude of very valid reasons, it's a camo that's been/being rightfully abandoned, and going with Multicam, particularly the one developed by Wombat50, would be far more ideal. I'd also seriously consider creating a customized and fictional camouflage, something unique to this elite group of warriors that doesn't deviate too far what's worn today, perhaps a blending of two well tested and PROVEN to be truly effective Multicam-type with Crye-type camouflages. 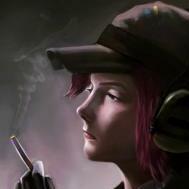 Continuing to supply different types of helmets/head-gear based on the class type would also be appreciated (baseball hats for a sniper in urban environments, Ghillie suit for flora, etc.). Is there any way to organize the weapon kits by type? And to list them in an order that helps ensure the fewest number of clicks? As it stands right now, clicking through there'll be carbines, then SMGs, the full length rifles, then back to more carbines, then some marksmen rifles, then more SMGs. It doesn't stay true to a predictable pattern. For example, for Riflemen one could start out with a full-length and suppressed assault rifle, one that has a magnifying scope and tandem-mounted holosight attached to it. The most effective rifle would be the default listing, and then alter from there. So, for Riflemen it would be: full length assault rifles (all of them listed in one cluster and not broken up into micro-clusters), carbines, SMGs, marksmen rifles, and finally LMGs. Demolitions would start out with a carbine, then SMGs, full length assault rifles, etc. Keep up the great work. Again, thank you SO much! I'm very happy to report that the GR Campaign, Mission 1 fix that Wombat supplied DOES work. You might want to consider folding it into the next release. The QUALITY of skins that are available are ASTOUNDING! Hard to believe that after SO much time that this community is still rocking out fantastic contributions on this scale. Humbling to see! Apex, these skins I'm talking about - I'd seriously consider having them integrated into HU. Wachter's and MrMoon's work just takes my breath away.